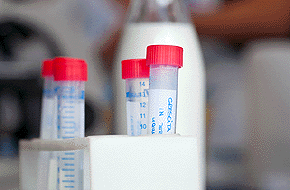 A recent headline bemoaned the fact that farmers might no longer be able to use DCD. The article went on to say that dairy farming had lost one of its best tools as it had been having good impact environmentally reducing both nitrate leaching into waterways and greenhouse gas emissions. The good news is that we have been evaluating the real benefits from a range of current farming practices over the past decade and has now confirmed some interesting results. eCOGENT has ascertained through in-depth testing that the utilisation of nitrogen products in the main has a negative effect on the total profitability of the farming business. Yes I know that is not the popular perception but when daily profit indicators are used while more feed can be grown the actual costs of achieving extra production is not substantiated. These are the findings from a range of both dairying and dry stock farming from Southland to Northland. Recent history tells us why. Over the past few decades farmers have been actively encouraged by banks, fertiliser companies, stock firms and some advisers to put on more fertiliser so that they can put on more stock and produce more. They were persuaded that the more they put on the more profit they would make – the moron approach. First, P was limiting but super-phosphate fixed that. Then it was K, but potassic super fixed that. No worries. As more and more stock were put on they ran out of feed and were told that they needed nitrogen, and urea fixed that. No worries. Suddenly they were told that there was too much N appearing in places where it shouldn’t be. But never fear, there is something you can buy to throw at the problem to make it disappear. No worries? Well, in my view we should have been worried. The mindset that thinks if there’s a chemical problem we can fix it with another chemical is something we should seriously question. Many farms in 2013 are a bit like ageing athletes that have been striving to maintain high performance by taking stronger and stronger drugs. Somehow farmers have been persuaded that such drug use was the only way to solve their “performance problem”. The real problem is that the people doing the persuading have been focused on production and cash-flow, which are highly questionable as the measures of real performance. There is only one measure in farming that is of lasting value and that is SUSTAINABLE DAILY PROFIT. Sure, you might make a few extra dollars in the short term by throwing more chemicals at a problem but that is an approach that leads nowhere. Years ago, some eCOGENT members asked the question “Should we be using nitrogen at all?” It was heresy even in those days, but the answer when we analysed these farms was surprising. 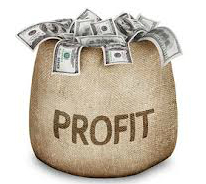 We used profit-driven management tools that compare different options in terms of cents profit per kilo of dry matter eaten by stock each day, making decisions on herd size, stocking rate, feed requirements and fertiliser use much easier and more accurate. As a result those members stopped using nitrogen found that clover soon came back into the pastures, animal health improved, production stayed about the same and profitability improved. Soil carbon levels also rose significantly, and no doubt their nitrogen losses to the environment were greatly reduced. The farming industry is saying that the environment is their top priority, so they should not be concerned over the loss of the DCD option that really isn’t an option.